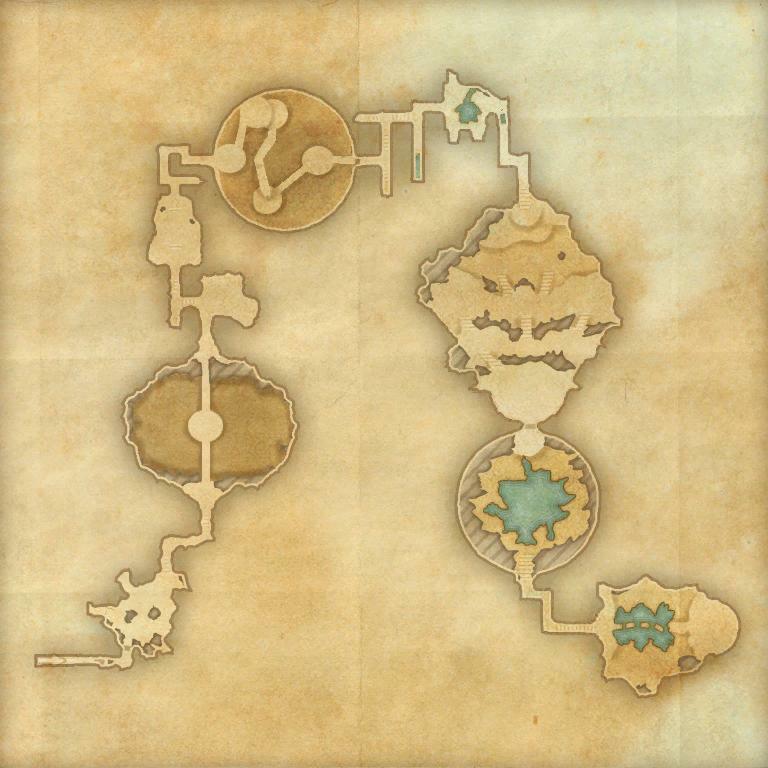 The Vaults of Madness is a group dungeon found in Coldharbour. Gasteau Chamrond needs you to help him and his friends escape from the Vaults by destroying the Mad Architect. You can learn about its location from Tubidan the Alarmist in the Hollow City. Vaults of Madness Objective: Explore the Vaults of Madness. Vaults of Madness Vanquisher 10 Defeat Ulguna Soul-Reaver, Grothdarr, Iskra the Omen, and the Mad Architect in the Vaults of Madness. 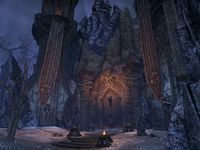 Vaults of Madness Conqueror 15 Complete Veteran Vaults of Madness by defeating the Cursed One, Ulguna Soul-Reaver, Death's Head, Grothdarr, Achaeraizur, the Ancient One, Iskra the Omen, and the Mad Architect. New Mayor of Crazy Town 50 Defeat the Mad Architect in Veteran Vaults of Madness, after invoking the Scroll of Glorious Battle. Veteran Dremora Slayer 10 Defeat 150 Dremora in Veteran Vaults of Madness. Veteran Feral Shriven Slayer 10 Defeat 750 Feral Shriven in Veteran Vaults of Madness. Vaults of Madness Survivor 50 Defeat the Cursed One, Ulguna Soul-Reaver, Death's Head, Grothdarr, Achaeraizur, the Ancient One, Iskra the Omen, and the Mad Architect in Veteran Vaults of Madness, without suffering a group member death. Vaults of Madness Assassin 50 Defeat the Cursed One, Ulguna Soul-Reaver, Death's Head, Grothdarr, Achaeraizur, the Ancient One, Iskra the Omen, and the Mad Architect in Veteran Vaults of Madness within twenty minutes of starting the dungeon. Timer starts when players engage the first group of tormentors. Before dungeon scaling was introduced in Update 5, Vaults of Madness was designed for levels 47–50. This page was last modified on 14 February 2019, at 05:40.